Scientific name Dolichos labiab Linn. Baktaw has been in season since late last year, along with other vegetable pods. The young pods are mixed in with other vegetables that are usually sinagsagan, or boiled with bagoong (salted fish paste), in Pangasinan. It looks like snow peas or Chinese peas in shape, size, and thinness, but the pod skin is rough, the color lighter green. One variant has characteristic violet shading along the edges. It is not a prized vegetable, and it is neither cultivated for commercial purposes. The plant usually sprouts on its own when its season arrives, usually during the colder months of the year, after the rains. The pods are plucked and sold in the markets as an alternative, or additional, ingredient to any cooked vegetable mixture. When cooking, the edges are trimmed and the pods split lengthwise. Traditionally, it is added to pakbet, or any mixture of vegetables distinguished as Ilocano/Pangasinan (sitaw, patani, sigarillas, kamansi, papaya, et.al.). I find this too gloomy, though, or too green, too homogenous. Not too exciting. So I add it to squash, probably mixed with cabuey (sigarillas/winged beans) if available, and squash' interminable companion agayep (sitaw/string beans or yard-long beans), and some chopped tomatoes. The squash brightens up the vegetable dish, in visual terms as well as in taste. I am not particularly enamored with baktaw, either - I buy and eat it because it is....there, if you know what I mean, and because eating what's in season is in line with my food philosophy. It doesn't have any distinguishing taste, nor scent, and it is not really missed if it's not in season. But blogging about food has led me to discover many things. I've learned, for example, that baktaw contains significant amounts of calcium, iron, vitamin C, and other minerals. ....Extracts from the seeds of bataw contain saponins and alkaloids with anti-tumor agent. Alkaloids have strong anti-bacterial and anti-cancer biological activity and are widely used as component of drug and herbal formulations.Saponins are surface-active agents producing foamy suds when mixed with water. These are used as ingredients for cosmetics, detergents, shampoos, emulsifiers, and fire extinguishers. So now there's more reason to buy baktaw. Hi, Jane, I actually first titled this post Pagda because it was also what I knew what it was called, but upon consultation with our elder kabaleyans changed it to baktaw. Apparently, pagda refers to the thicker version, which I am now on a quest to find. I think, though, baktaw and pagda are sometimes used interchangeably. In Mangaldan there is another term, which I failed to take down and subsequently forgot. Jane, andami ko na terms i-research. I'll try to find out what vegetables you are referring to. 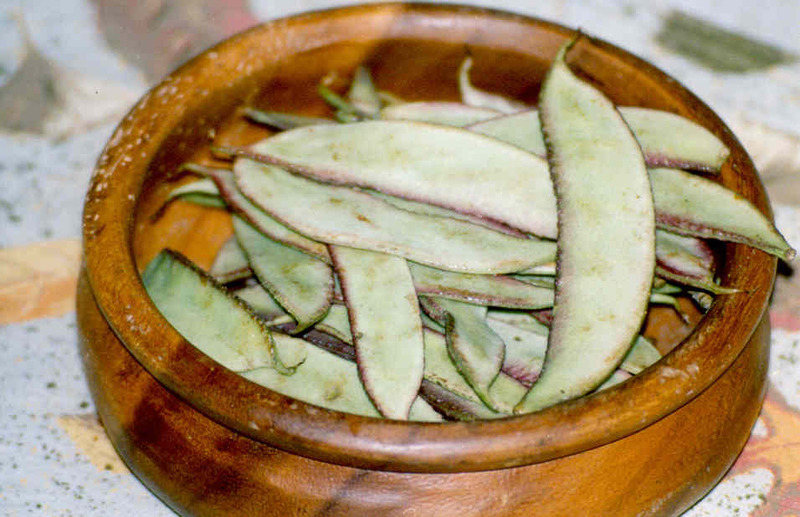 Cabuey/gabuey is called sigarillas in Tagalog and winged beans in English. I'll try to post a picture one of these days. Hi I would like to know where you bought this bataw from? Is it still available now? We were thinking of buying for our thesis project. iIt is not the season for baktaw now. The SM hypermarket at Mall of Asia usually has baktaw when in season, around December and onto summer. I would suggest the public markets around Metro Manila. I buy mine at the Cavite City public market.